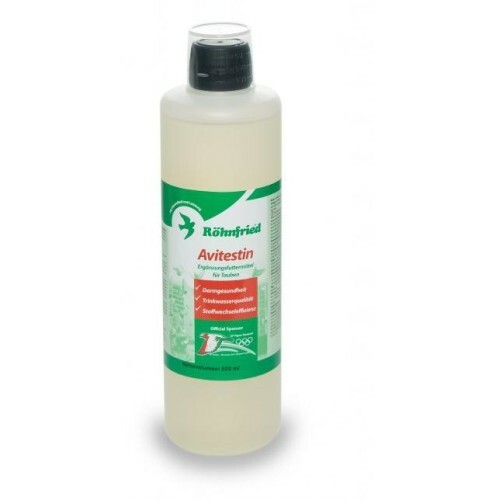 Avitestin 500ml by Rohnfried is a last generation product that regulates metabolism, cleans and protects the intestines and produces an ideal way to keep your pigeon in good racing condition. 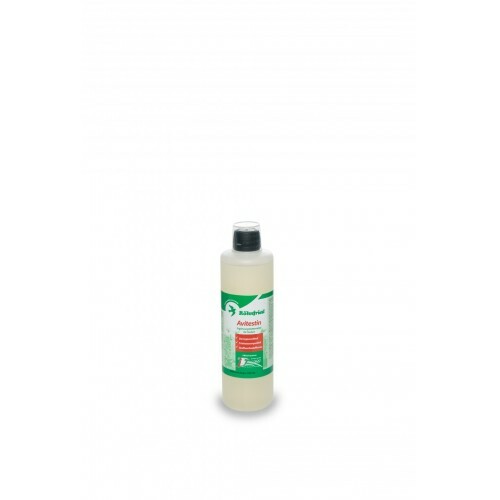 It has a high antibacterial effect for all kinds of bacteria in the body of the pigeons, competition, all kinds of birds. Avitestin is a mixture of butyric acid and fatty acids of short and medium chain. the pH of the water is reduced and thus reduces the risk of infection of Gram positive bacteria. The medium chain fatty acids quality act until well into the small intestine intestinal health and support the growth of probiotics body is encouraged. The butyric acid contained is active in the intestines, strengthens the growth of the villi and therefore leads to higher immune response. Additionally, acids keep the water fresh for longer, but also promote the metabolism of the pigeons. - Manage before and after flights and stress.